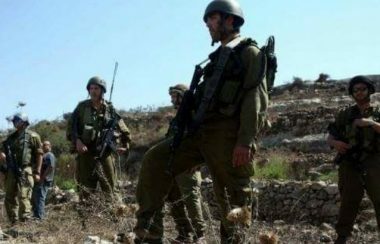 Israeli soldiers abducted, on Saturday afternoon, three Palestinian farmers, and confiscated agricultural machines from them and others, ar-Ras al-Ahmar area, in Tubas, in northeastern West Bank. The soldiers stopped the farmers, while heading to their lands, and abducted three of them. The soldiers also illegally confiscated several agricultural machines from the farmers, and prevented them from entering their lands. The attacks took place after dozens of soldiers invaded ar-Ras al-Ahmar area, and closed various roads leading to the Palestinian lands.